The manner of decorating an altar which has been hallowed by ancient tradition and is distinctly a Catholic practice, is to build over the entire altar a large canopy, usually standing on four columns. Such a canopy is often referred to as a ciborium, or a baldacchino or a civory. In mediaeval times, particularly in England, a different form of canopy came to be suspended from the ceiling above the altar, usually being square but sometimes circular in shape. Later still the canopy evolved into an adjunct to the altar which jutted out at right angles from the topmost part of its reredos. These different forms of canopy all have specific names, which are often confused. This is the first of many posts illustrating canopies, in their various forms, over our altars. The canopy, according to Canon J.B. O’Connell, “was a traditional mark of reverence and honour, emphasising the royal dignity of the altar...without any infringement of the inviolable sanctity and detachment of that sacred stone.” Canon J.B. O’Connell, Church Building and Furnishing: the Church’s Way, 1955, pp. 185-86. 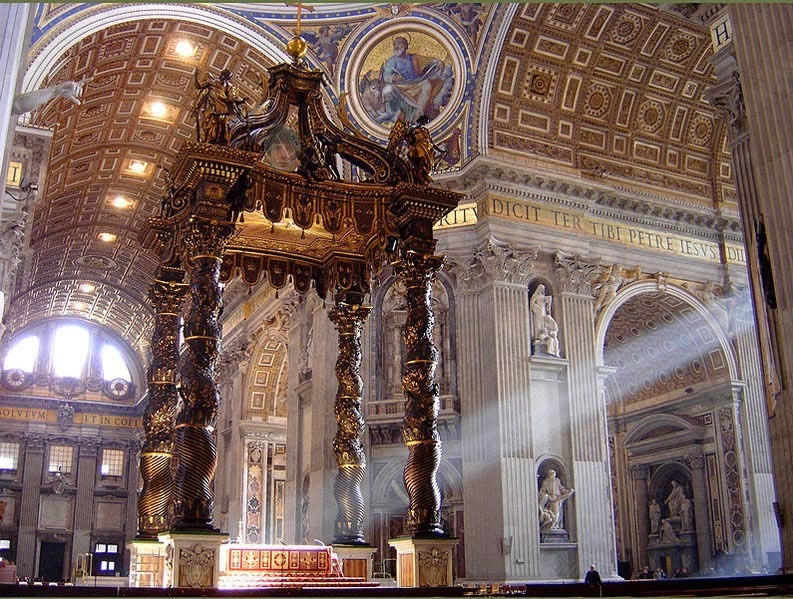 The great bronze canopy over the High altar of St. Peter's Basilica. in a monumental way, the place of Saint Peter's tomb beneath. Commissioned by Pope Urban VIII, the work began in 1623 and ended in 1634. 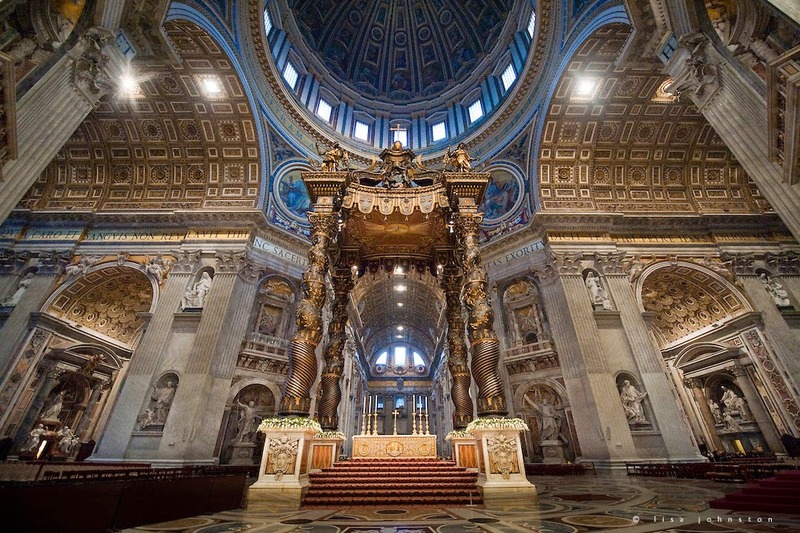 The most famous example of such a canopy is in Saint Peter’s Basilica; but there are numerous such canopies throughout the United Kingdom, Europe, North America and in Australia. Many of these were built in the first half of the twentieth century, when liturgical ideals were being practically espoused. The former Ceremonial of Bishops and various decrees of the Congregation of Sacred Rites required a canopy of some sort to be built over an altar - a directive which, unfortunately, was largely ignored.